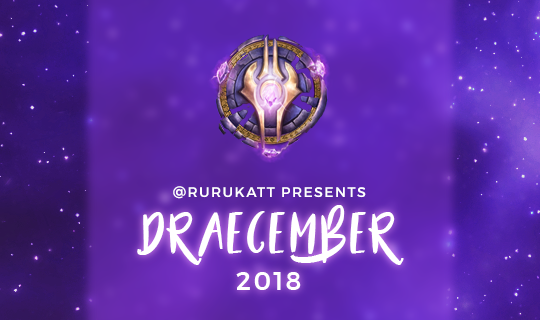 Welcome to the second day of Draecember! (Do ignore the fact that it’s the fifth day in the month.) Today’s theme was Tattoo. A bit of background before I jump into the vignette – this story takes place very early after Kya and Letuus met Mikri for the first time. There’s still a little residual awkwardness as neither of the draenei quite know what to do with this easily excitable gnome. Also, this story is far more lighthearted than yesterday’s, thank goodness.